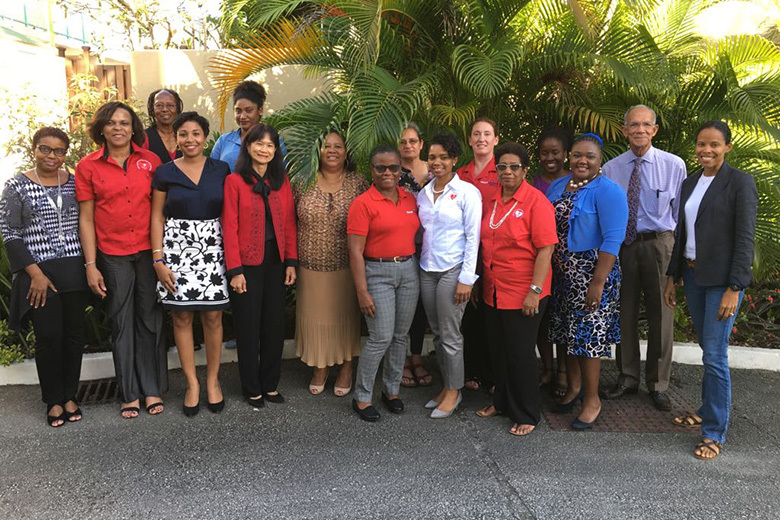 CSOs from five countries benefiting from the CDB funded HCC Childhood Obesity Prevention (COP) Project gathered in Barbados for a one day regional consultation on Friday March 2nd, 2018. 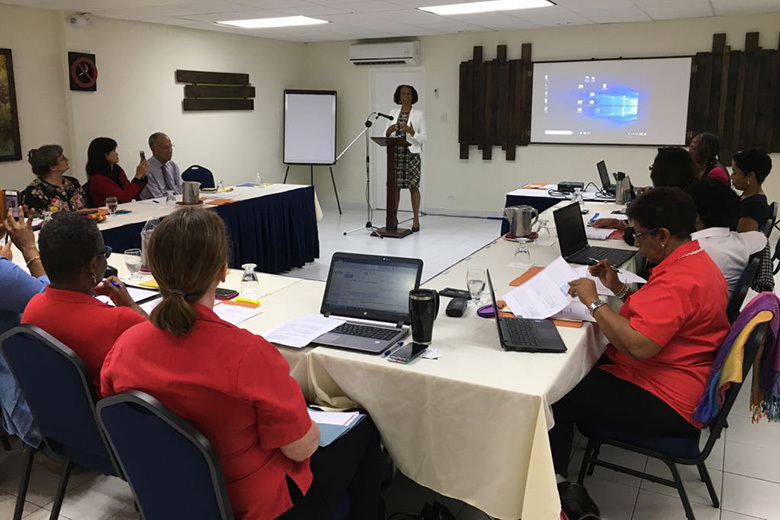 The goal of the meeting – led by the projects capacity building consultant Dr. Beverley Barnett – was to review and make recommendations for finalisation of the CSOs Action Plans for COP advocacy developed through the in-country capacity building workshops. The meeting was attended by representatives from the Belize Cancer Society, the Breastfeeding and Child Nutrition Foundation of Barbados, the Cancer Society of the Bahamas, the the Heart Foundation of Jamaica and the Heart and Stroke Foundation of Barbados. Welcome and opening remarks were provided by HCC President Sir Trevor Hassell and Ms. Deidre Clarendon, Division Chief of Social Sector Division at The Caribbean Development. Ms Clarendon congratulated the CSOs on their work to date in developing their action plans and underscored the importance of sound monitoring and evaluation to demonstrate success. The CSOs shared their draft plans and alignment with existing projects such as the Global Health Advocacy Incubator project in Jamaica [link to any related HCC media coverage] and Barbados. A key output of this first phase was capacity building and the organisations were resounding in their consensus that capacity was built especially in the area of strategic action planning. The CSOs were excited to begin implementing their COP advocacy plans which will be aimed at promoting healthier school environments through the banning of the sale and promotion of unhealthy beverages and foods in schools and promoting workplace policies which are supportive of breastfeeding.